When looking for the best budget laptop on the market, there are lots of things to consider. So much, in fact, that it can get very confusing. There are many laptops out there that are well below the $600 price range but before you decide on the right one for you, you need to know what to look for and how to make your choice. Knowing these things will enable you to find the best cheap laptop on the market that will suit your needs. First, you need to decide what operating system you prefer: Windows, Mac or Chrome? Windows generally has the largest range of laptops on the market, selling from as low as $150. The size of the laptop will determine the functionality and price of the laptop. If you want something that is portable and fairly cheap, you’d be better off choosing a laptop between 11 and 14 inches. What is your price range? 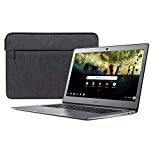 You can get Chromebooks and low-end window systems between $150-250 but if you have more money to spare, a $350-600 budget will get you a laptop with recommended specs such as Intel Core i5, 4 to 8GB of RAM, and a 500GB hard drive. It is important to look at the specs of a laptop. The best cheap laptops should have at least an Intel Core i5 processor (i3 may suffice but we’ll still recommend going for at least i5). At least 4GB RAM is recommended for casual use and smooth multitasking. SSD is preferable as it is faster but it greatly influences the price. A display of full HD/1080p is optimal. Also, don’t ignore the battery life. Look for a laptop that provides at least 8 hours of battery. These specs may change with the type of laptop you decide to get. The types of laptops available all have slightly different functions and specs. The classic notebook can come in either very budget-friendly prices or high-performance for gaming. Ultrabooks are designed to be light and thin for portability. Chromebooks run under Google’s operating software, but only run Chrome web-based apps that don’t work too well offline. 2-in-1 laptops can be detached or rotated to become a tablet as well as a laptop. 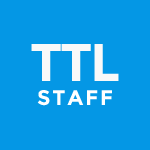 Current trends in technology include: USB C and Thunderbolt 3 are one of the latest emerging technologies that manufacturers are starting to integrate into their laptops. The design has become of major importance and there is a large focus on producing thin and attractive laptops. 2-in-1 laptops are currently very popular and most brands are coming out with their own versions. Wireless charging is also a rising trend that Dell has introduced. So, what are the current, best value laptops on the market right now? Let’s find out. Our second option from Acer is entirely different from our first although both are quite affordable. The Aspire E 15 runs Windows 10 instead of Chrome, and there are plenty of changes under the hood as well. The E 15 is a good looking PC but a little heavy at over 5 pounds. That’s due in part to the 1TB HDD and the fact it actually has an optical drive along with a large 15.6-inch display. The panel is FHD and gets a boost from the Intel HD Graphics 620 chip but this laptop is not necessary as quick as other models on our list with a Core i3 processor. Memory on this model is listed at 6GB, and the connectivity options are solid with USB C, x2 USB 3.0 and a USB 2.0 port. There’s also an HDMI port, Bluetooth 4.1, and dual-band Wi-Fi with MU-MIMO tech. 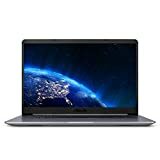 The Acer Aspire E 15 is available in this base configuration or bundled with Office or an external hard drive if you’re looking for some extras. Looking for a sleek machine running Chrome that boots up instantly and gives you access to Android apps? Well, look no further than the Chromebook C423NA-DH02, a 14-inch laptop from ASUS with plenty of style. This slim laptop weighs 3.1 pounds and sports a 14-inch matte panel with a resolution of 1,366 x 768. It utilizes ASUS’s NanoEdge tech so the bezels are thin and the 180-degree hinge opens the door to a few new angles as well. As for the specs, this one has a dual-core Celeron N3350, 4GB of RAM and 32GB of eMMC storage. While this Chromebook may not seem all that different from others, the ports set it apart. It has dual USB 3.0 and USB Type-C ports along with an SDXC card reader. We love the size of this model, but there is a 15.6-inch variant available as well if you prefer a little more screen and a bit less battery life. Acer has always been a great brand to turn to when you want something affordable, but reliable. The Acer Chromebook 14 is no exception considering it meets both those requirements with a lightweight OS and budget-friendly price tag. The aluminum-clad Chromebook 14 lives up to its namesake with a 14-inch FHD IPS display. Beneath the glass, you’ll find a quad-core Celeron chip along with 4GB of RAM and 16GB of eMMC storage. It has an HDMI port, x2 USB 3.0 ports, Bluetooth and Wi-Fi but you won’t get Windows on this one. It runs Chrome, so we hope you like Android apps. Chromebooks aren’t for everyone, but this one is snappy and certainly won’t break the bank. It’s a great choice for students as well or folks that just want to surf the web, and the battery life is hard to beat at 12 hours per charge during normal usage. The ASUS Chromebook Flip C213SA-YS02 is an excellent budget laptop that will cater to all your needs. With a 360-degree hinge, you can enjoy the ASUS Chromebook Flip in both tablet and laptop modes. Access to the Chrome Store means you will be able to download and access all your favorite Google apps on the go. With a 12-hour battery life, the ASUS Chromebook Flip will follow you from work or school to home with ease. The lightweight yet strong build protects the Chromebook from minor falls or slips, so you can rest easy during life’s small accidents. The liquid resistant keyboard design will protect from spills and water damage if you get caught in the rain. Looking for a light machine, you can take anywhere with ease? 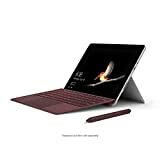 At only 1.15 pounds, the Surface Go is definitely light, and the vivid 10-inch PixelSense display won’t take up much space in your bag. The detachable keyboard is thin as well, and the battery life is solid with around 9 hours per charge depending on your usage. Tech specs for this one include a 128GB SSD, 8GB of RAM, and the Pentium Gold 4415Y processor. It has a USB Type-C port and an 8MP camera on the rear to go along with a 5MP snapper up front. The Surface Go is geared more towards media and productivity than gaming, but a fine choice if you’re looking for a laptop that’s half tablet and can run Windows 10. Dell’s Inspiron lineup is vast, and it’s difficult to keep track of their new models each year. The Inspiron 15 3000 got our attention due to its rock-bottom price tag along with the fact you can upgrade it to suit your needs. The 15 3000 is our first AMD-powered machine with the 2.0GHz AMD A6-9200 under the hood. While that’s not overly impressive, you’ll get 8GB of RAM and a 1TB HDD along with the Radeon R4 graphics chip. It can handle light-duty gaming, and the display is spacious at 15.6 inches although the resolution takes a hit at 1,366 x 768. There’s no USB-C access on this PC, but there are ports for HDMI, USB 3.0, USB 2.0 and Ethernet. The standard microphone/headphone jack is present as well with Bluetooth and dual-band Wi-Fi. Build quality is middle of the road as its plastic, but fairly sturdy and the battery life is around 6 – 7 hours. 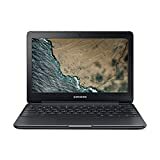 The Samsung Chromebook combines features of durability, drop and spill resistance with an attractively thinner design than some of the other durable Chromebooks on the market. It runs on a 1.6 GHz (up to 2.48 GHz) Intel Celeron processor with 4GB of RAM which is not the fastest, but it runs smoothly enough. It has a 16 GB SSD and an integrated Intel Graphics Card. The 11.6-inch screen with a resolution of 1366 x 768 pixels is fairly standard for these cheap Chromebooks. It is very portable, weighing 2.5 pounds (1kg). There is adequate connectivity: 2 USB ports, an HDMI input, an audio jack and a micro SD reader slot. The battery on this laptop lasts up to 10 hours while streaming YouTube videos. 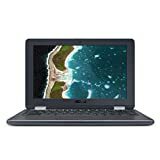 This laptop is another great one for students and those who are out and about a lot. Generally, convertible laptops in the 15-inch range are not often found in the budget class. This version of the HP Pavilion X360 breaks that rule as affordably priced but still has the style and features consumers expect from the popular lineup. This PC is a 2-in-1 so you can use it as a tablet, laptop or prop it up in tent mode to enjoy some videos or play games. While it’s a looker and quite flexible, the power is lacking as you’ll only get a Core i3 processor with this one. It’s still a step up from chips found in other budget models however and it has a large 1TB hard drive as well. Memory is a bit sparse at 4GB, but there is 16GB of Intel Optane memory backing that up. On the flipside, it has a large 15.6-inch FHD panel, and the digital pen makes it an ideal option for creative consumers looking for a full-size convertible laptop. Our first Chromebook comes from Lenovo, and it’s also one of the smaller laptops to make our list. The Chromebook C330 may be small, light and bright white but we think you’ll be impressed by the specifications given the price. Lenovo decided to keep things compact with the C330 so you’ll get an 11.6-inch IPS panel with a resolution of 1,366 x 768. The processor is the MediaTek MT8174C, and while it still has the standard 4GB of RAM, there is 64GB of storage on this one. That’s a bonus, and so is the touchscreen at this price point. Another thing we love about this laptop is its flexibility. It has a 360-degree design which means you can flip the screen around and use it as a tablet, laptop or in tent mode. Viewing angles are limitless, and you’ll get a USB-C and USB 3.0 ports as well. This is another great option for students or parents looking to buy their child an Android-based laptop. If you liked the size of our 11-inch Chromebook but not the OS, HP might have a better solution for you. The HP Stream is a mini PC that runs Windows, and while it’s not easy on the eyes, it is the cheapest laptop on our list. This PC may be small, but it still has some pop with 4GB of DDR4 and an Intel Celeron N4000 processor with 4MB of cache. Storage is limited to 32GB of eMMC, but expandable and the display is an 11.6-inch anti-glare panel. The resolution is listed at 1,266 x 768, and it’s backlit but about as bright and colorful as you’d expect from a laptop at this price. Ports are a little limited on the HP Stream, so you’ll get one USB 3.1 and USB 2.0 port along with an HDMI port and a microSD card reader. Bluetooth and Wi-Fi are standard as well, and you’ll get Windows 10 out of the box. Our top choice for the best budget laptop comes from ASUS with the VivoBook F510 UA. Dubbed a “thin and light” laptop by the company, this PC is classy and has enough power to keep most consumers happy. The highlight of this machine for us is the large 15.6-inch WideView display with its thin bezels and FHD resolution. It has a screen-to-body ratio of 80% and tips the scales at only 3.7 pounds. Connectivity options include HDMI, USB 3.0, x2 USB 2.0 and a Type-C port along with Bluetooth and Wi-Fi. The F510 UA has a fingerprint scanner as well located on the top corner of the trackpad. As for the power, you’ll get a 7th gen Core i5-7200U which is backed by 4GB of RAM. A 1TB hard drive will take care of all your storage needs, but there are other configurations available if you want a faster processor are a solid-state drive. We chose this configuration for the price as the combination of style and power took this one to the top of our list. There is an array of choices when it comes to budget laptops. 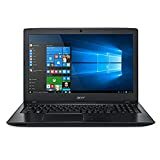 These can range from classic notebooks under the $500 price range that provides great performance and display or Chromebooks at value prices well below the $300 price range for personal and office use or durability for on the go with impressive battery life. Which one you choose from this list will depend on your preferences and your needs, but you can rest assured that no matter what you choose, it won’t hurt your wallet or your budget.